Welcome to InnoWorks 2014 at Caltech! 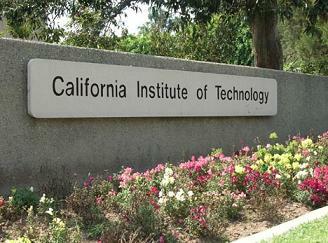 We are pleased to offer our third InnoWorks summer program in Pasadena and second program on the Caltech campus. Our workshop this year will be held from August 11th through the 15th, and will take students through an exciting exploration of some of the greatest scientific experiments and discoveries through the InnoWorks Eureka Effect curriculum. We are absolutely thrilled to share this opportunity with underserved middle-school students in the Pasadena area to promote interest in science, technology, engineering, mathematics, and medicine (STEM2). The Caltech chapter hopes to provide an opportunity for these students to develop confidence and curiosity in learning through exploration of scientific ideas. We are dedicated not only to having a successful workshop, but also to helping develop a foundation for these students to successfully build careers in STEM2 or in any path they chose. With Caltech's talented and diverse undergraduate mentors, we hope share our love for STEM2 through interactive, hands-on learning experience for our students to gain fresh perspectives of how science can impact their daily lives. Our group of volunteers is composed of enthusiastic and dedicated college students from a variety of backgrounds who are passionate about coaching and sharing the experiences that have inspired them to become physicians and scientists. We hope to forge lasting friendships with all our participating students and build bonds that will transcend our program's duration. We are grateful for the guidance of our community and university leaders and look forward to ongoing strong relationships with each of them. We would specifically like to thank the Caltech Housner Fund, the Pasadena Educational Foundation STEM program, Dr. Jackie Barton, the Caltech Student Investment Fund, the Caltech Fund, the Institute of Quantum Information and Matter, Caltech Graphic Resources, Which-Wich of Pasadena, Einstein Bros Bagels of Pasadena, and Trader Joe's of Pasadena for their continued generous support of our program. We would also like to thank InnoWorks HQ and Mitch Aiken for all of their assistance and support with the administrative and logistical aspects of our program. Please feel free to contact us if you have any questions or would like to get involved with InnoWorks!